The Battle of Gallipoli, or the Battle of Çanakkale, was fought between the Ottoman Empire and the Allied Forces of the First World War (1914-1918) on the Gallipolo peninsula from April 25, 1915 to January 9, 1916. This battle was initiated by Britain and France, who organized a naval attack aimed at capturing the Ottoman Empire’s capital, Constantinople (modern Istanbul). The Ottoman Army was commanded by Mustafa Kemal (1881-1938), while Winston Churchill (1874-1965) led the Royal Navy, which included soldiers from Australia and New Zealand in addition to those of the UK and France. Churchill’s goals were very ambitious, as he was convinced that “the invasion would give the British a clear sea route to their ally Russia and knock the fading Ottoman Empire, the “sick man of Europe”…out of the war, which would persuade one or all of the neutral states of Greece, Bulgaria and Romania to join the Allies”. While Churchill was well-aware that the invasion of Gallipoli would by costly, he believed that this high price was worth paying, given that victory would eliminate Turkey as a factor in the war. He predicted that an “army of 50,000 men and sea power” would be enough to eliminate “the Turkish menace”. Young Churchill was able to convince the British Cabinet of the merits of the mission and they eventually agreed to send naval forces. Also, despite some initial hesitation, the French government also supported the British plan as designed by Churchill. In addition to Britain and France, the imperial army sent to battle in Gallipoli was also comprised of soldiers from New Zealand and Australia, who joined on account of their loyalty to the monarchy despite gaining independence as British colonies 14 years prior to the onset of the First World War. Thus, in late November 1914, soldiers from both Australia and New Zealand, who thought they were headed to England for training, were instead deployed near Cairo in Egypt. Then, in April 1915, they were ordered to go from Egypt to a new destination, the Gallipoli peninsula. 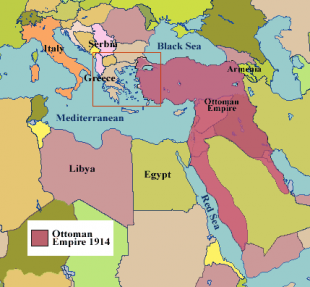 The Ottoman victory in the Battle of Gallipoli turned out to be one of the most significant events in the history of contemporary Turkey, with lasting impacts that extended well beyond the physical battlefield. In addition to allowing the Turks to retain control of Constantinople and the surrounding region, it also facilitated Mustafa Kemal Ataturk’s rise to prominence. Shortly after leading his forces to victory in the Battle of Gallipoli, Ataturk assumed the leadership of Turkey as its first president and, in the 1920s, implemented a series of reforms designed to facilitate the transition to Occidental patterns and lifestyles in Turkey. “peoples and governments never have learned anything from history, or acted on principles deduced from it. Each period is involved in such peculiar circumstances, exhibits a condition of things so strictly idiosyncratic, that its conduct must be regulated by considerations connected with itself, and itself alone. Amid the pressure of great events, a general principle gives no help”.